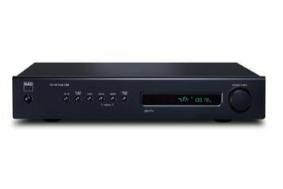 NAD launches C426 'audiophile' FM/AM tuner | What Hi-Fi? Claiming to be the audiophile's choice by eschewing DAB in favour of FM and AM tuners, the C426 uses a MOSFET RF front end design to get the best from the incoming radio signal. NAD has also redesigned its power supply to aid efficiency and keep power consumption low when in standby. You'll find 30 nameable presets, plus RDS and RT support for displaying the names of stations and any other information broadcast by the station. Available in either a graphite or titanium finish, the C426 is on sale now for £230.